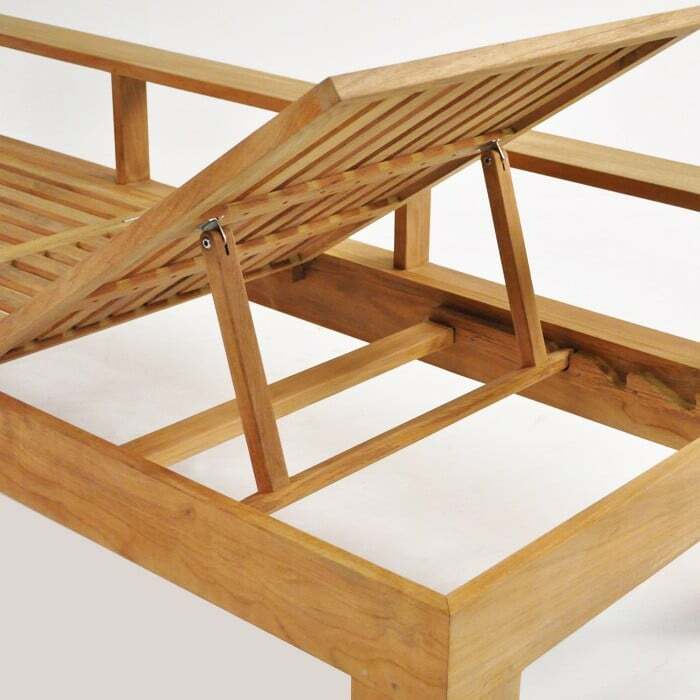 This interesting piece is in a style category of its own. The linear look is heightened by the side railing, which boldly follows the length of the entire piece. 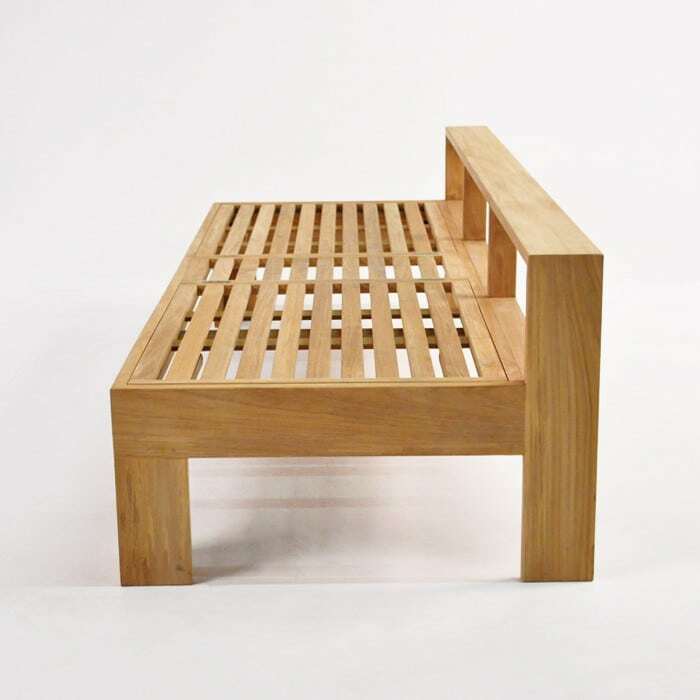 The Back is adjustable, from either side, allowing you to choose which direction this sun lounger is placed in. 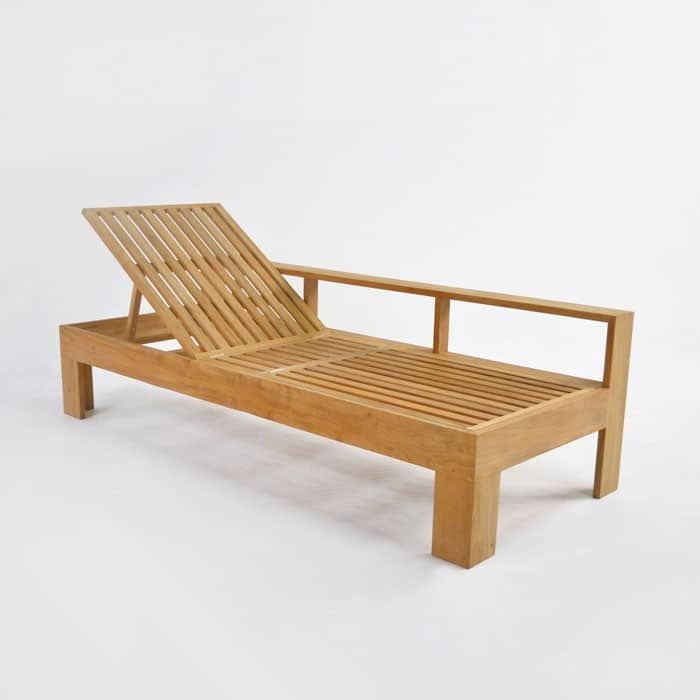 The arm is perfectly positioned to hold a book, magazine, or drink, and gives a linear finishing detail that accentuates the bold personality of this beautiful a-grade teak sun lounger. Sunbrella cushions are sold separately. 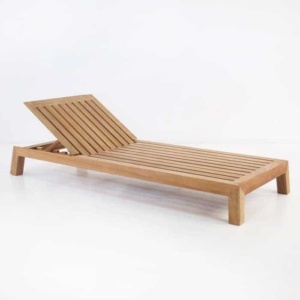 Surprisingly versatile and completely comfortable, the Havana Teak Sun Lounger is a single sun lounger with built-in full body arm rest making it a great lounger for one. Or two! Position two together for the ultimate in double relaxation! 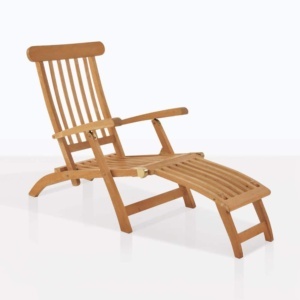 Sun lounger cushions are sold separately.